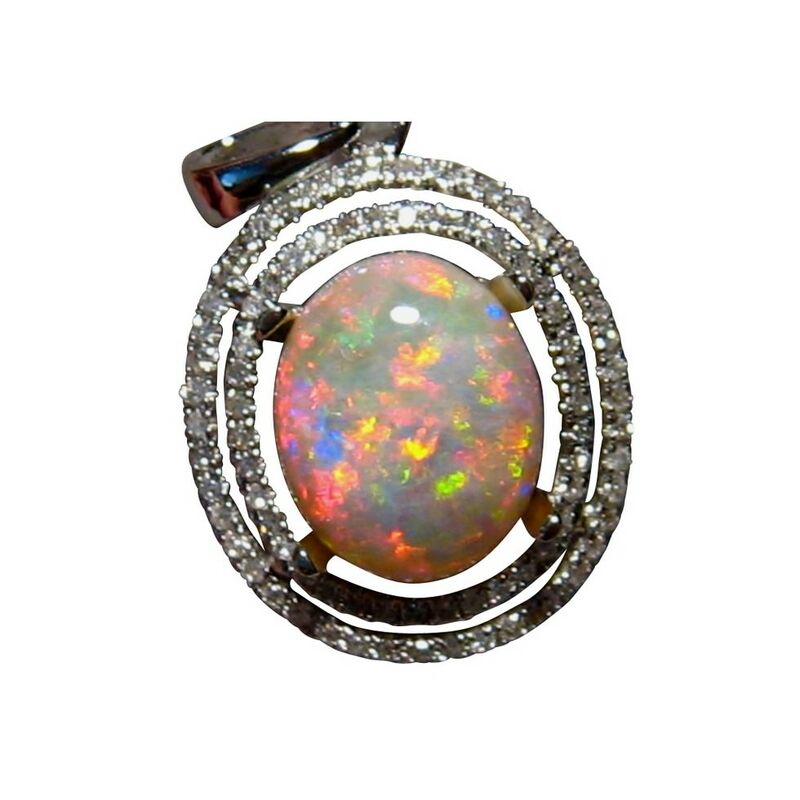 A quality Opal and Diamond pendant in 14k Gold with a Red Gem Crystal Opal accented with a double halo of Diamonds. In stock and ready to ship. 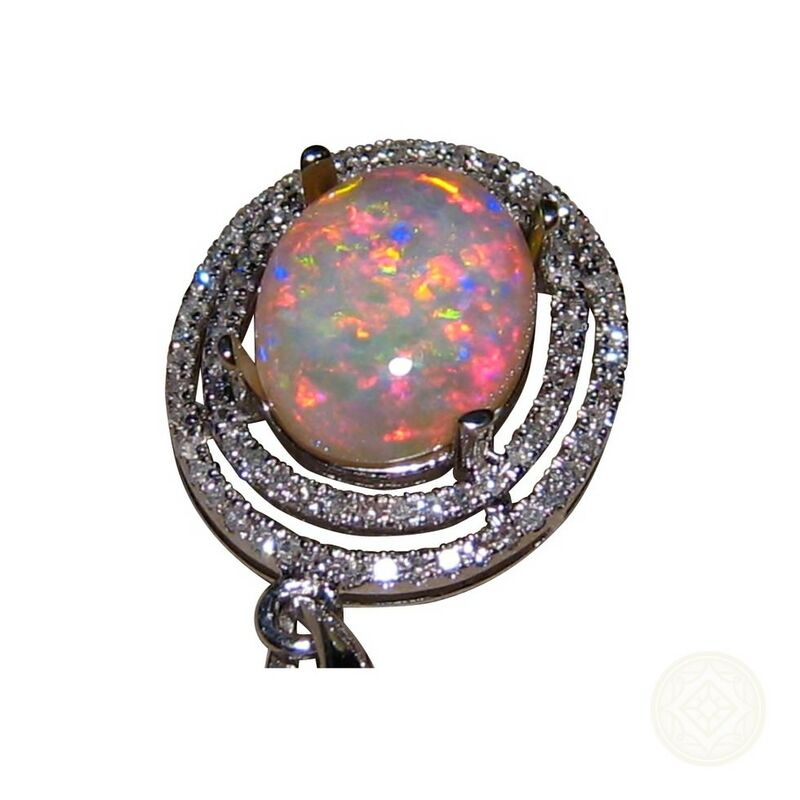 A gorgeous Opal and Diamond pendant in 14k Gold with an oval Coober Pedy Gem Grade Crystal Opal surrounded by a double halo of Diamonds. 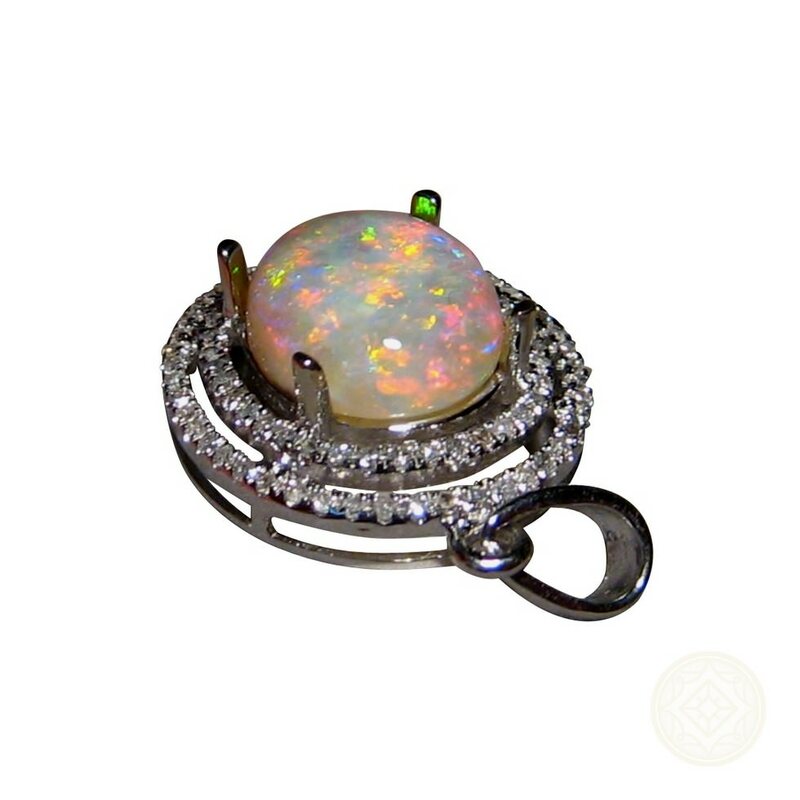 The oval Opal flashes mainly Red but does show some Yellow and Green and the video below will show the lively play of color as well as the sparkling Diamonds. 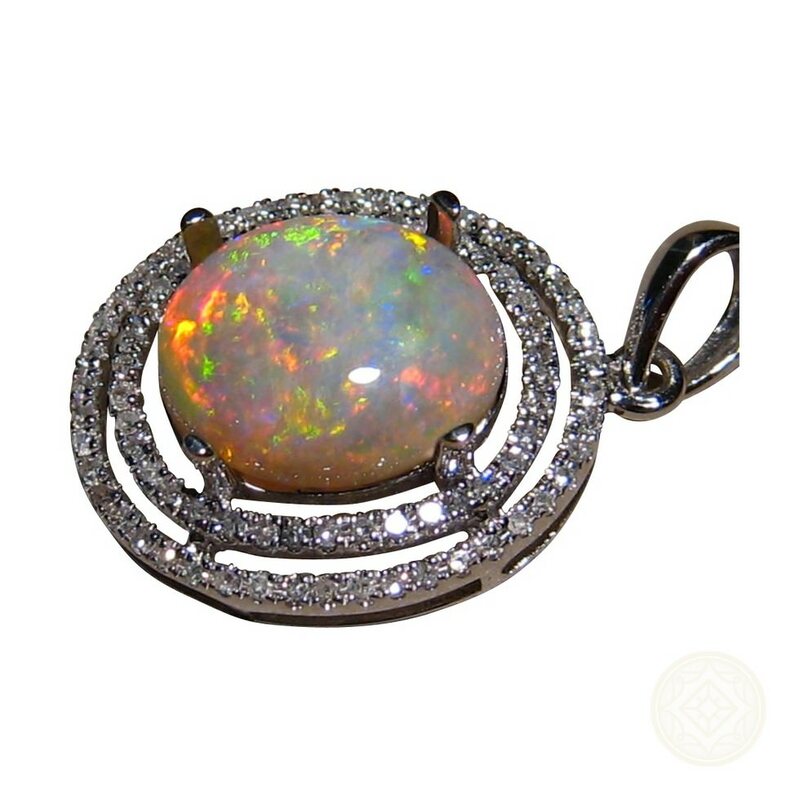 The pendant is shown in White Gold and has a double halo of small bright white Diamonds around the Opal. 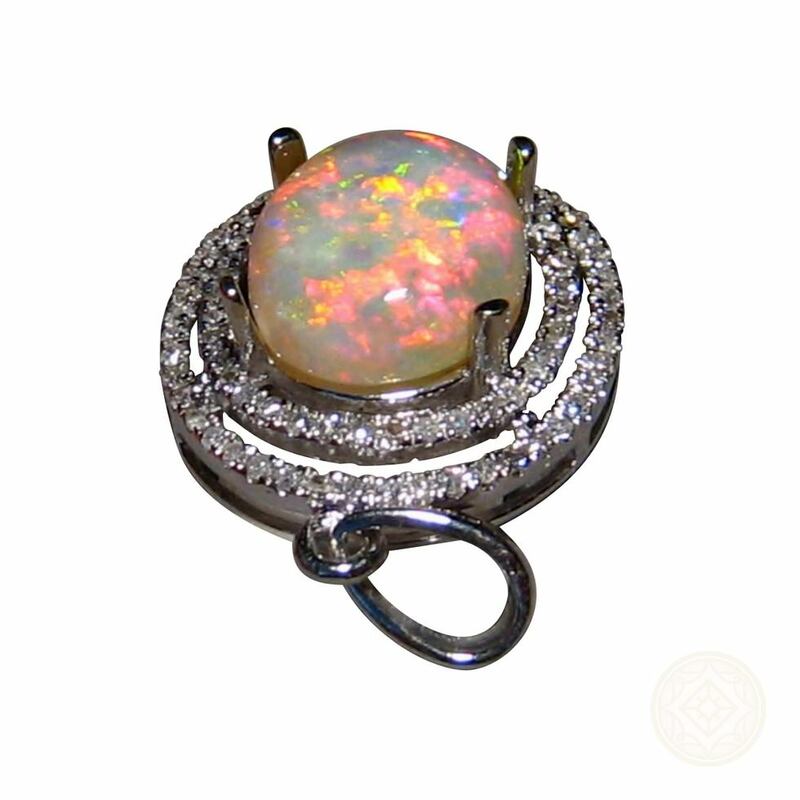 The quality Opal pendant is ready to ship now or will take about three weeks to make in Yellow or Rose Gold. 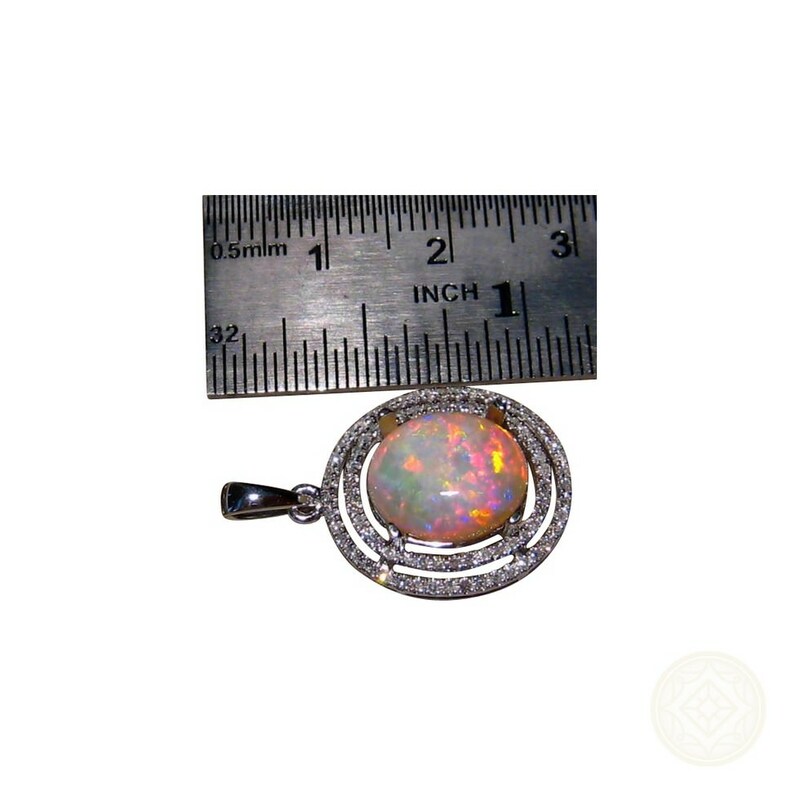 If you would like this exact Opal in a different pendant or ring setting, contact through this product for assistance and a no obligation price quote.